The Afghan burqa (burka) is an outer garment designed to cover a woman's body when she goes out in public. 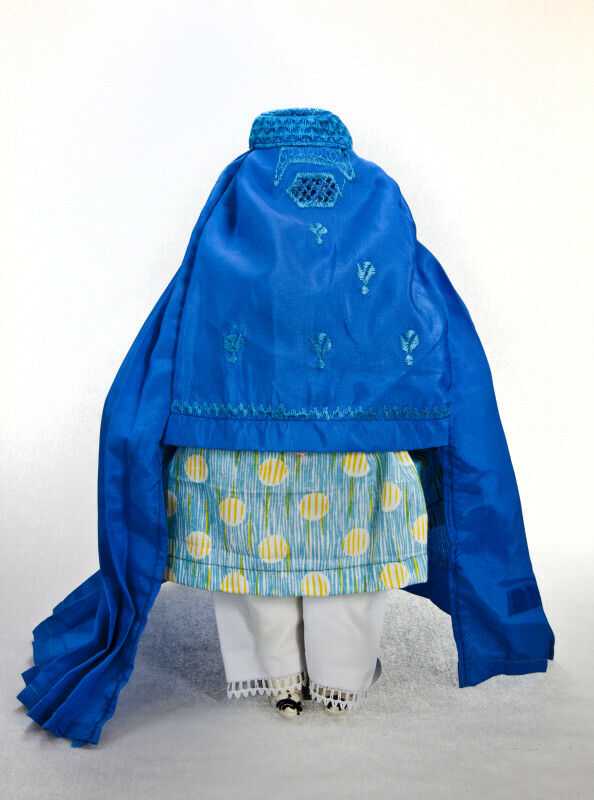 The full Afghan chadri has a small mesh area in the veil so the woman can see. The burqa in this photo is blue, with embroidery on the skull cap and veil. Women wear pajamis (tunic and trousers) under the burqa, then pull the sides of the burqa together for coverage. This figure stands 11 inches (28 cm) tall.